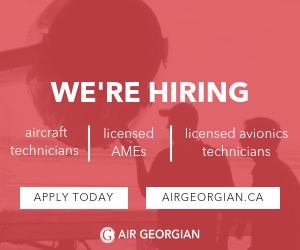 Looking for a fixed wing AME with licence, interested in a maintenance position. This AME position could likely lead to a DOM position. Candidates interests should include single engine fixed wing aircraft less that 15,000 lb GTOW, turbine, and piston aircraft and helicopters. Candidate does not need to have helicopter maintenance certificates, but will be required to become licensed on a couple helicopter models. Must be independent and excellent at taking initiative. Must be a TEAM player, who works well with others when in the lead, or when being taught. Must enjoy the hands on work, but also recognize that maintaining paperwork, log entries, maintenance releases, research, tracking, planning are also part of the process. Good facilities. Must be willing to relocate to rural area. Must be willing to dedicate summer months to having in season maintenance complete. Must also be willing to plan and complete winter maintenance items in preparation for summer season. There is opportunity for this to be a part time or full-time position. But it is necessary that his would turn into a full-time position in the future.